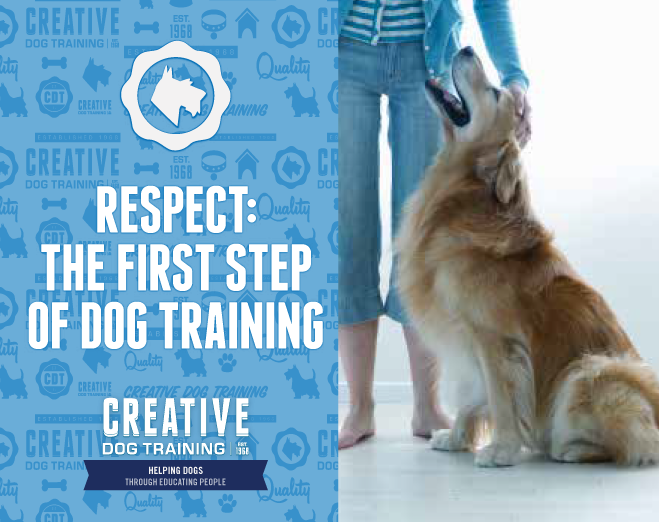 Creative Dog Training – Blog – CDT Meets Pig! ➛ Blog ➛ CDT Meets Pig! 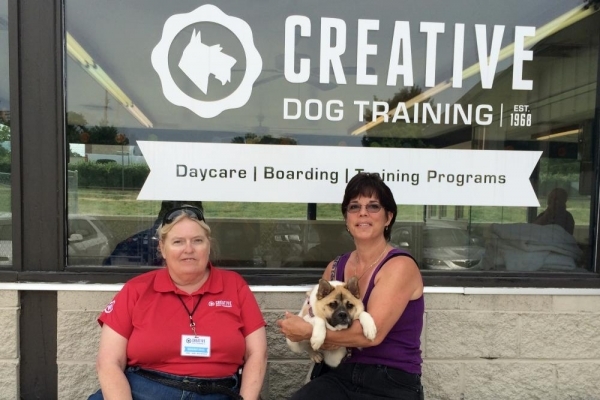 I have been blessed to work with lots of different dogs in my career - from working with sick dogs at my father's veterinary office, to show dogs here at Creative Dog Training. Last week, I met Pig (The Unusual Dog). Pig is a female mixed-breed dog born with "short spine syndrome". She was born in the woods northeast of Atlanta last fall to a feral mother. I was not sure what to expect from this little dog. 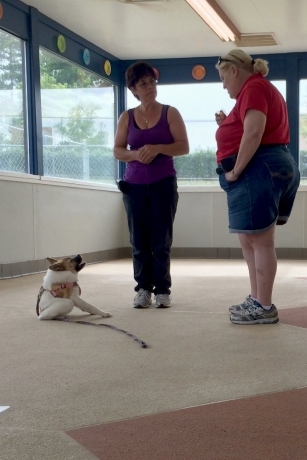 I only knew that I wanted to offer our training services to help Pig become a Hand In Paw therapy dog, and so we have offered Pig a full scholarship to achieve all of the necessary personal training she will need to complete the certification. 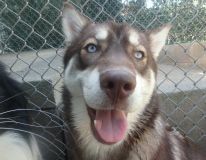 Pig surprised and delighted me with her happy-go-lucky, inquisitive, and jolly spirit! Pig is extremely responsive to Kim. 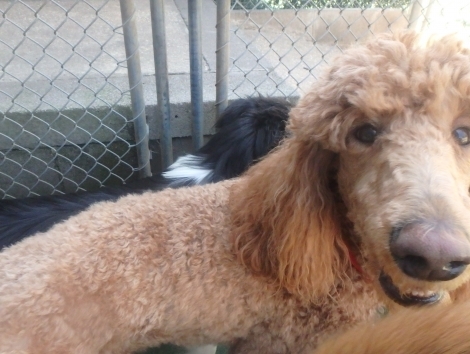 She is outgoing and friendly with people and dogs. These are the 2 keys to a therapy dog. Pig is very food motivated, which is also extremely helpful. We decided on Clicker training. 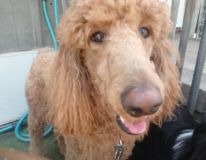 During her first lesson, Pig worked on ‘Let’s Go” (loose leash walking), ‘Wait’ (stop moving forward), and ‘Go Visit’. 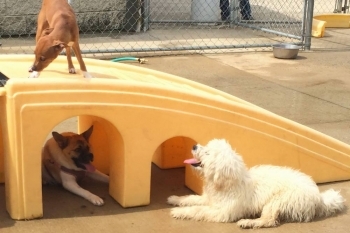 After a very productive training session Pig went to the play yard for a romp with Lilly and Kirby. Lilly was not quite sure if Pig was really a dog! Kim says it is not unusual for dogs to be hesitant at first with Pig. Kirby, on the hand, fell in love with Pig. Pig enjoyed running and playing in the water misters. She discovered the pool and learned quickly how to jump in and out of it. This little dog is convinced she is completely normal! I am looking forward to working with Kim and Pig. Pig will be coming once a week for private lessons. Kim will work with Pig every day at home. I will keep you posted on our progress! 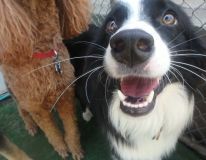 For more photos of Pig's first lesson, check out our Facebook. Click here for more information about our training programs. Or for information on our daycare programs, click here. Our Facebook Page - Click to view pictures from Pig's first lesson!! CDT Training Programs - View more information about all of our Training Programs! 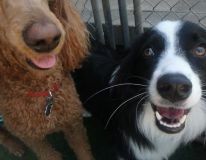 CDT Dog Daycare - View more information about all of our Dog Daycare Programs!